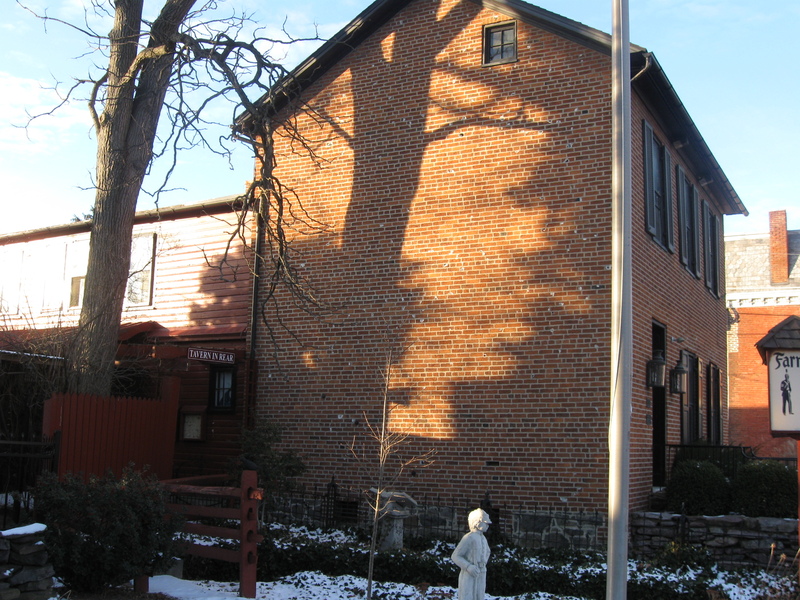 The Farnsworth House was known as the Sweney House at the time of the battle. It is located at the corner of Baltimore and South Streets. This view was taken facing northwest at approximately 4:15 PM on Wednesday, January 21, 2008. On Christmas Eve we featured a post on the Sweney House (Farnsworth House) Christmas Decorations. We don’t want to duplicate that post where we talked about the history of the house and who occupied it during the battle. Today, we will show you the damage, but quote from Harvey Sweney on what he saw and thought regarding the events surrounding the National Cemetery dedication in November, 1863. Much of the information for this post was supplied by Gettysburg Licensed Battlefield Guide Timothy H. Smith’s fine booklet, In the Eye of the Storm: The Farnsworth House and the Battle of Gettysburg, which was published last year (2008). The booklet is 64 pages and retails for $9.95, and may be ordered from the Farnsworth House Bookstore (717) 334-8838. Their website is www.farnsworthhouseinn.com. Tim Smith also wrote an article for the Adams County Historical Society Journal in 1996. 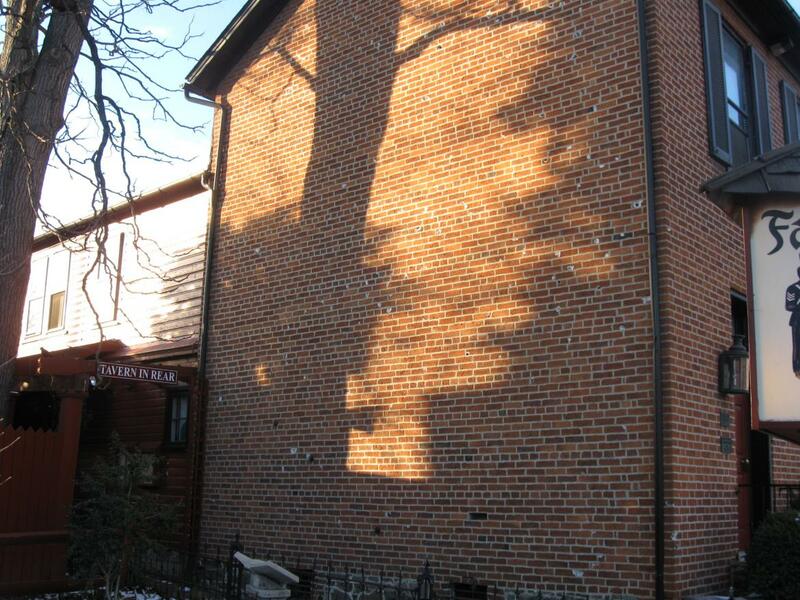 Tim is also a research assistant at the historical society, and his article in that year’s Journal (Volume 2), “A Tour of Gettysburg’s Visual Battle Damage,” presents a good overview of the buildings we have featured over the last couple of weeks. We highly recommend that you pick up a copy at the Adams County Historical Society on Seminary Ridge in Schmucker Hall, or order a copy ($6.95) from the Adams County Historical Society. Click this link for their online giftshop. 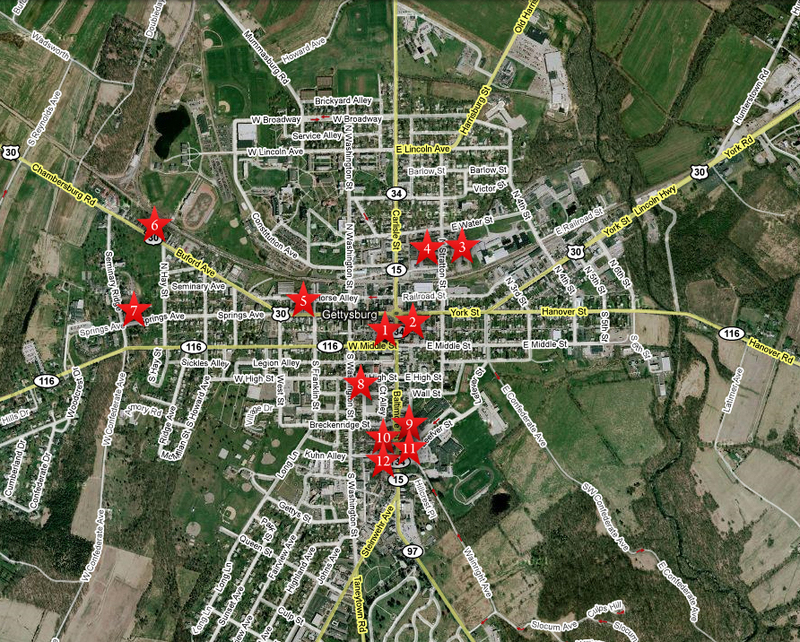 This map shows the buildings with visible battle damage that we have been featuring the last couple of weeks. 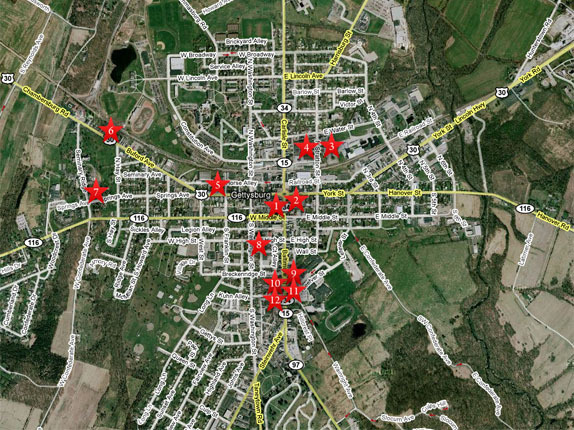 We have marked the locations with red stars. #1 is the McClean House at 11 Baltimore Street. #2 is the Wills Building at 9 York Street. 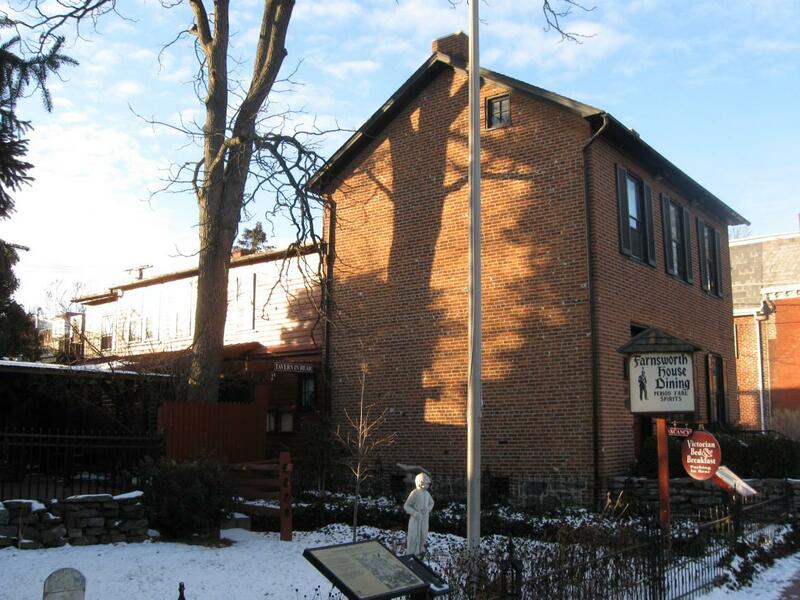 #3 is the John Kuhn House at 221 North Stratton Street. #4 is the Crass Barbehenn House at 218 North Stratton Street. 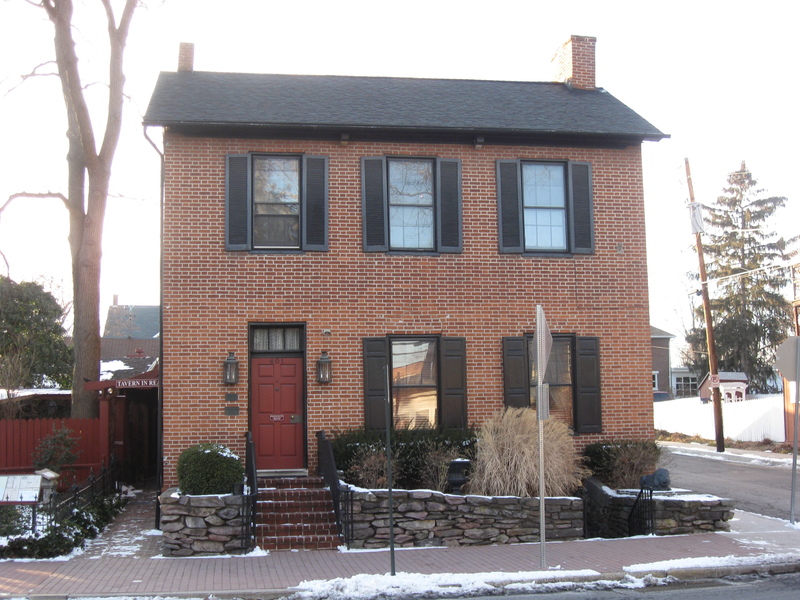 #5 is the David Troxell House at 221 Chambersburg Street. #6 is the Carrie Sheads House at 331 Buford Avenue. 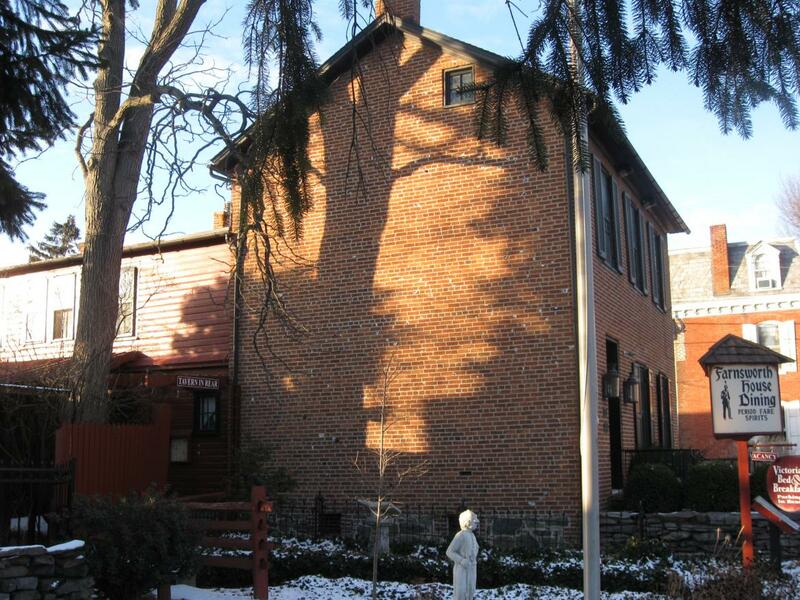 #7 is the Samuel Schmucker House on West Confederate Avenue. 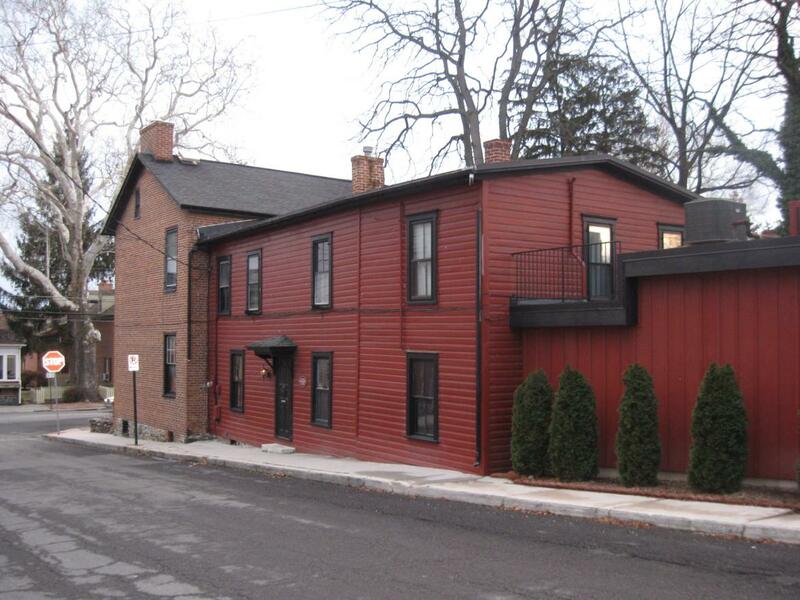 #8 is the Gettysburg Academy Building at 66 and 68 West High Street. 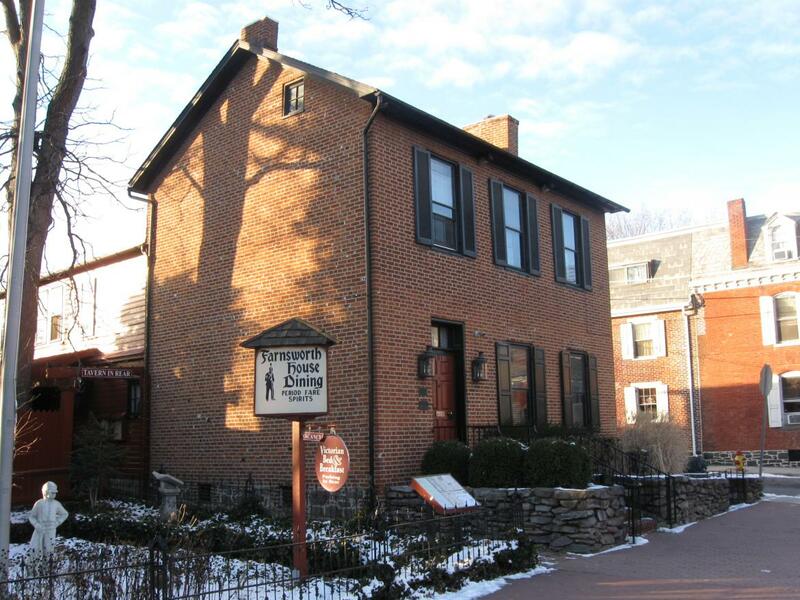 #9 is the old Methodist Parsonage Building at 304 Baltimore Street. #10 is the Garlach House at 319 Baltimore Street. 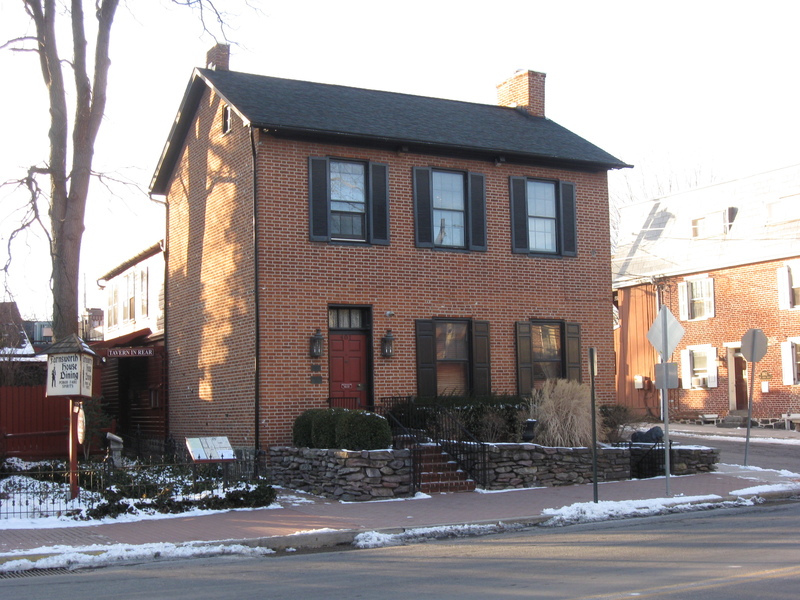 #11 is the Winebrenner House at 404 Baltimore Street. #12 is the Farnsworth House (Sweney House) at 401 Baltimore Street. This map was created at approximately 9:00 PM on Sunday, January 11, 2009. 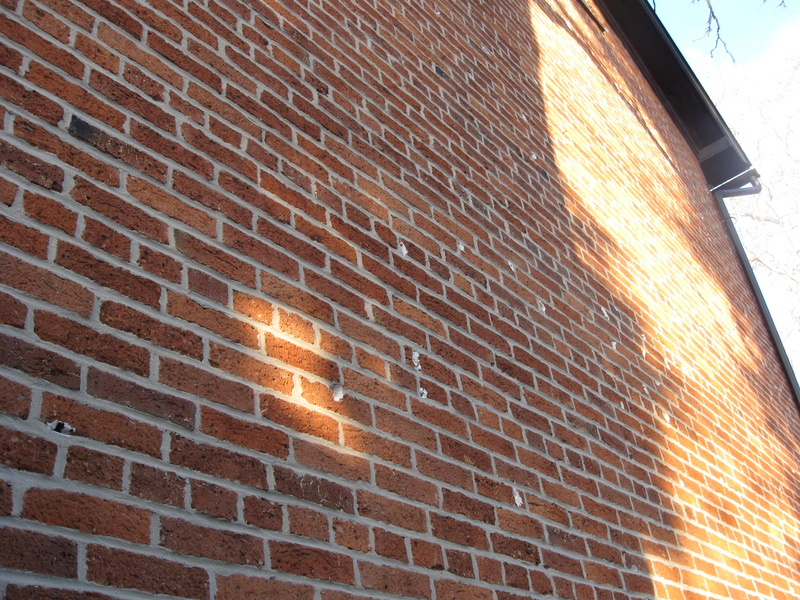 On the east wall, but especially here on the south wall of the house are white spots. 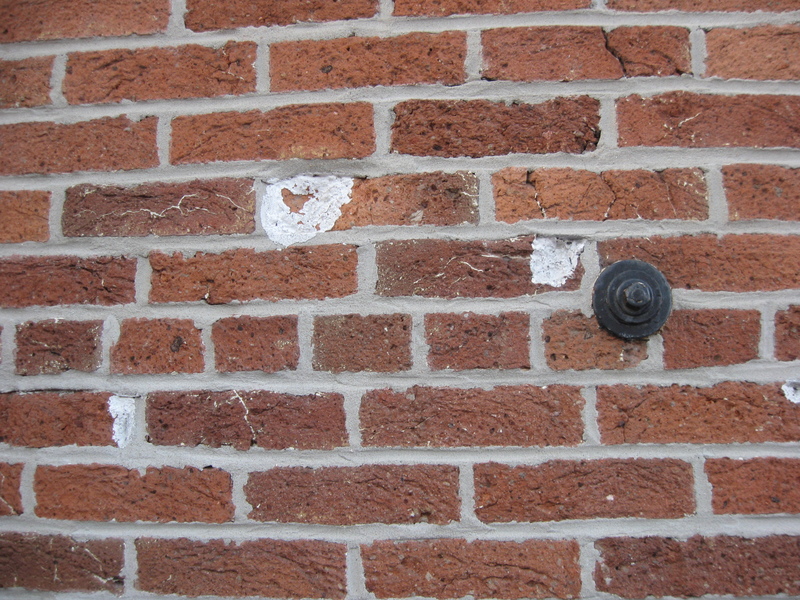 They mark the locations of where bullets hit the building during the battle. This view was taken facing northwest at approximately 4:15 PM on Wednesday, January 21, 2008. During the Battle of Gettysburg, Confederate Sharpshooters from Louisiana, Georgia, and Alabama occupied buildings in this area. 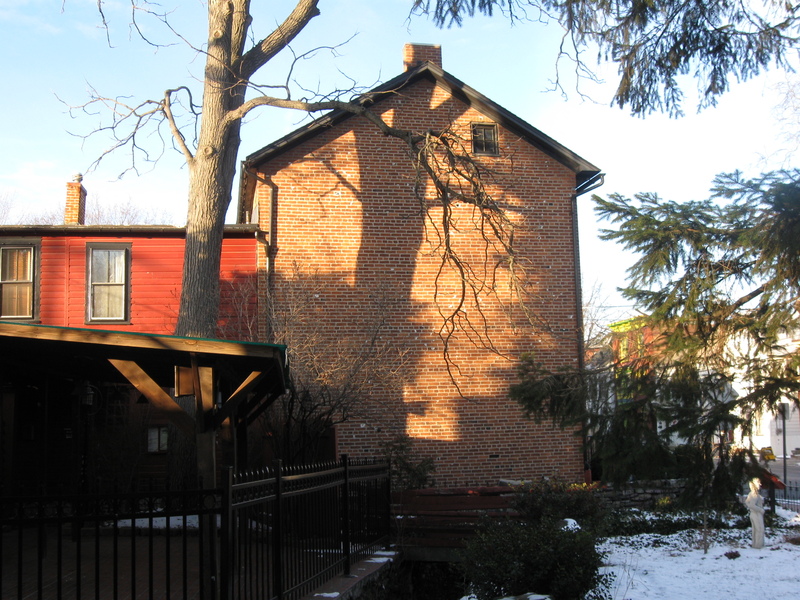 However, documentation is scarce to which Confederates occupied the Sweney House, including the attic with the small window at the top of the building. 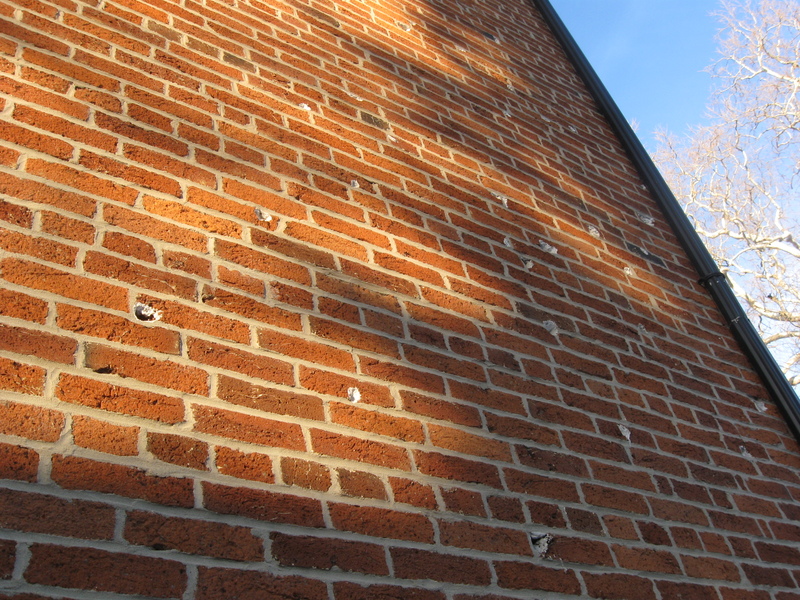 Union troops returning fire from the Cemetery Hill area to this location made the bullet holes in the south wall. This view was taken facing northwest at approximately 4:15 PM on Wednesday, January 21, 2008. 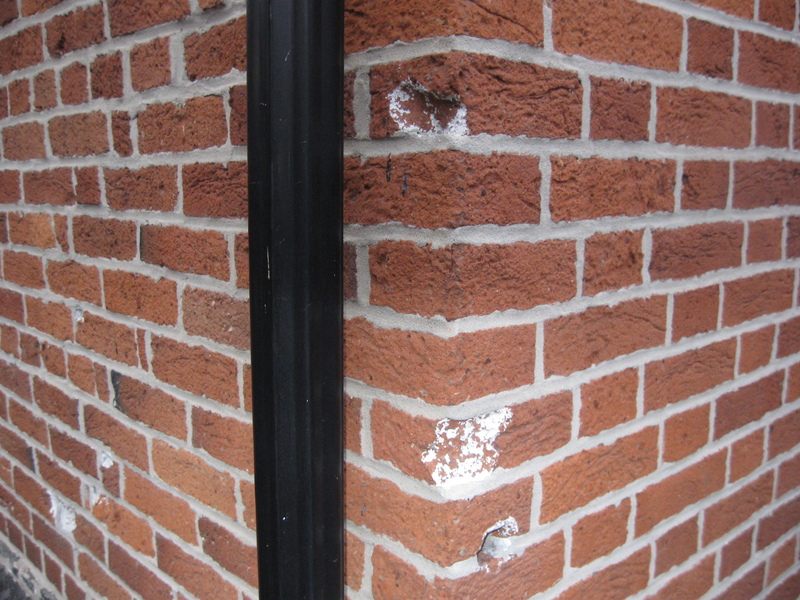 Sometime in the 1940s or 1950s the bullet holes were repaired (covered over). This view was taken facing south at approximately 4:15 PM on Wednesday, January 21, 2008. 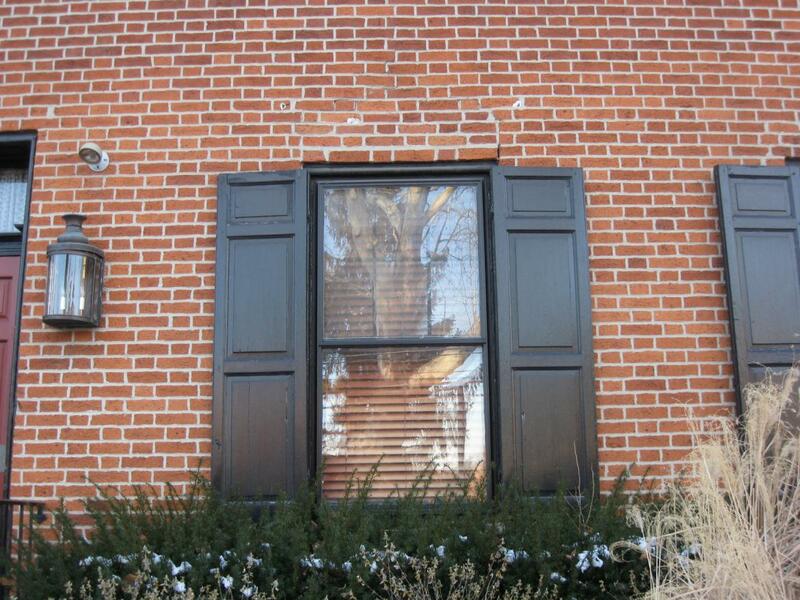 After the present owners purchased the Sweney House in the 1970s, they sandblasted the walls, and again exposed the bullet holes to the public. This view was taken facing northeast at approximately 4:15 PM on Wednesday, January 21, 2008. To make the bullet holes easier to see, the present owners had them painted white. This view was taken facing north at approximately 4:30 PM on Tuesday, December 14, 2008. 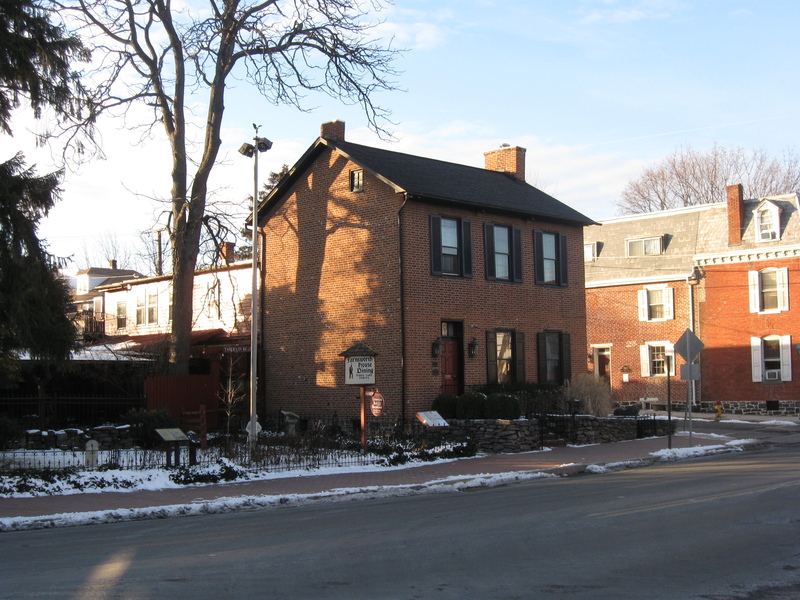 The Sweney House is one of the Gettysburg locations to claim that a bullet fired by a Confederate Sharpshooter might have killed Jenny Wade in the McClellan House on Cemetery Hill. This view was taken facing north at approximately 4:15 PM on Wednesday, January 21, 2008. The ceremonies revolving around the dedication of the Soldiers’ National Cemetery led Harvey Sweney to write to his brother, Andrew, “for some days before the 19th our town was filled with strangers eager to secure a place to stay during that memorable day.” This view was taken facing northwest at approximately 4:15 PM on Wednesday, January 21, 2008. Sweney continued, “All the rooms in the hotels were engaged several weeks ahead but our old town roused up to action…” This view was taken facing west at approximately 4:15 PM on Wednesday, January 21, 2008. “…meetings were held and committees were appointed to wait on strangers and procure them accommodations in every house large and small, high and low.” This view was taken facing west at approximately 4:15 PM on Wednesday, January 21, 2008. “You could hear the sound of busy preparation for the coming multitude. Churches, public schools, town halls, all the private dwellings, barns, etc, were thrown open to receive them.” This view was taken facing west at approximately 4:15 PM on Wednesday, January 21, 2008. “Every House groaned with the good things of this life prepared to feed the coming crowd. On the morning of the 18th, the heavy trains of cars began to pour in laden with masses of human beings.” This view was taken facing southeast at approximately 4:15 PM on Sunday, January 11, 2008. “Train after train came. Nothing scarcely could be heard but the loud snort of the iron horse and the rumble of the long and heavy train.” This view was taken facing northwest at approximately 4:15 PM on Wednesday, January 21, 2008. “Every building public or private was filled and for miles around town the houses were filled iwth the congregated throng. Some of our most humble families in their little homes were astonished when theyh discovered that the guests they were entertaining were senators, congressmen, and the great ment of the nation, glad to share the hospitalities and to remunerate them well for it…” This view was taken facing northwest at approximately 4:15 PM on Sunday, January 11, 2008. “Early on the morning of hte 19th every thing was bustle and commotion. At daylight the streets were a dense mass of living beings… About nine o’clock the roll of the drum and the heavy rumble of cannon announced the preparations of the day when the loud booming of the minute guns on the Cemetery Heights gave warning of the solemn occasion…” This view was taken facing northwest at approximately 4:30 PM on Tuesday, December 14, 2008. “… At ten o’clock the procession was formed and began to move. This was a grand and impressive sight. I have no language to depict it and tho’ the mighty mass rolled on as the waves of the mighty ocean, everything was in perfect order…” This view was taken facing northeast at approximately 4:15 PM on Wednesday, January 21, 2008. The procession passed in front of the Sweney House. “…But the greatest of the great men that honored this occasion was President Lincoln mounted on a beautiful bay charger…Like Saul of old he towered a head taller than any man. He sat gracefully bowing with a modest smile and uncovered head to the throng of women, men and children that greeted him from the doors and windows. His modest appearance and dignified manners, to say nothing of the noble speeches he made here, has endeared him to the hearts of the people and added thousands of friends to him on that day.” This view was taken facing west at approximately 4:15 PM on Wednesday, January 21, 2008. 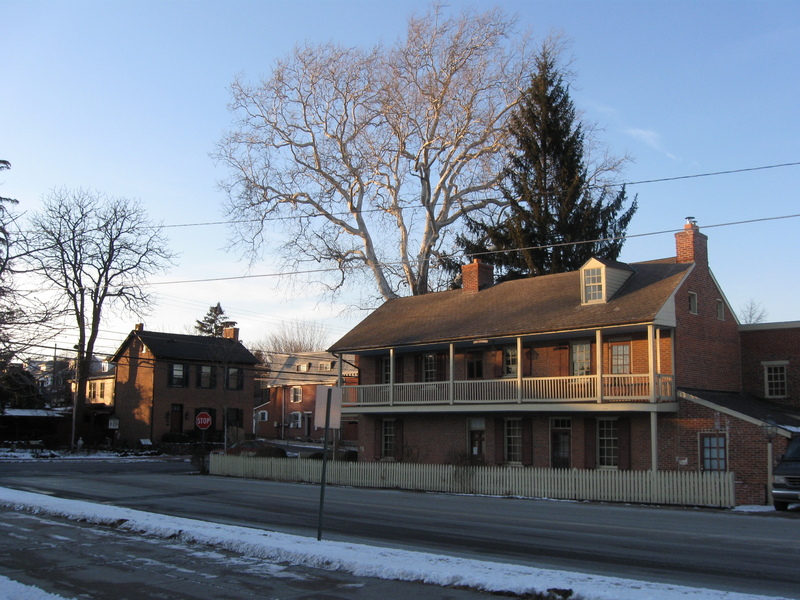 The John Winebrenner House is on the right, and the Sweney House is across Baltimore Street in the left background. Lincoln and the rest of the procession travelled to the cemetery from right to left on Baltimore Street. “…But tho’ he (Lincoln) looked cheerful and happy on that day an observant eye could see that the dreadful responsibility that this nation and this wicked rebellion has cast upon him has had its marked effect, and that he feels the terrible responsibility that rests upon him.” This view was taken facing northwest at approximately 4:15 PM on Wednesday, January 21, 2008. Gettysburg’s John Winebrenner House Battle Damage on February 3, 2009. 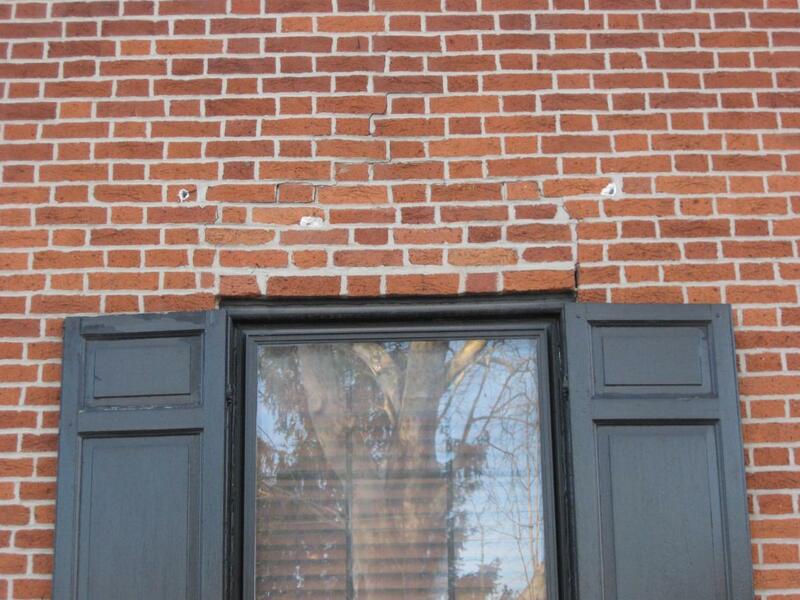 Gettysburg’s Henry Garlach House Battle Damage on January 24, 2009. 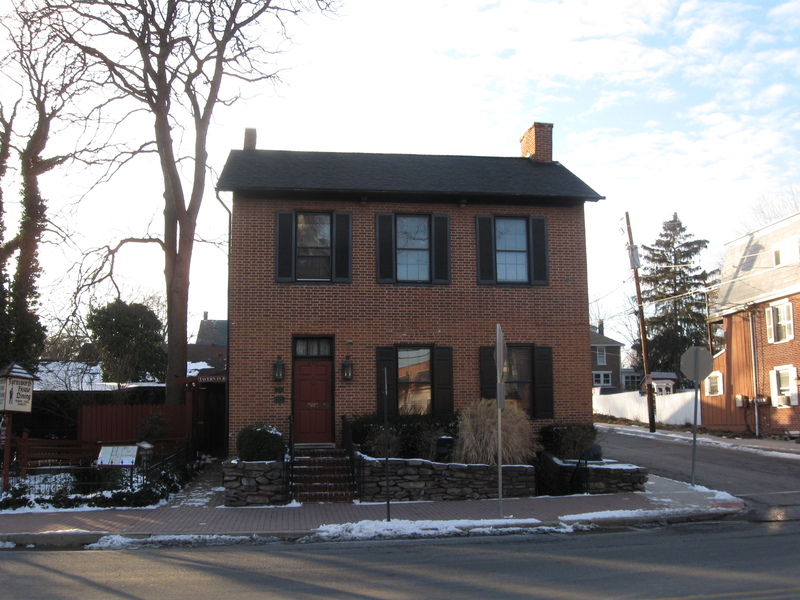 Gettysburg’s Methodist Parsonage Cannonball on January 22, 2009. Gettysburg Female Institute Artillery Projectile on January 16, 2009. Gettysburg’s Samuel Schmucker House Artillery Shell on January 15, 2009. Gettysburg’s Carrie Sheads House Artillery Shell on January 13, 2009. Gettysburg’s David Troxell Artillery Shell on January 9, 2009. Gettysburg’s Crass-Barbehenn Artillery Shell on January 7, 2009. Gettysburg’s John Kuhn House Artillery Shell on January 6, 2009. Wills Building Artillery Shell Might be the Actual Shell on January 2, 2009. Gettysburg’s McClean House Artillery Shell on December 27, 2008. Christmas Decorations on the Carrie Sheads House on December 25, 2008. Sweney House (Farnsworth House) Christmas Decorations on December 24, 2008. Christmas Decorations at the Gettysburg Academy on December 21, 2008. Civil War Artillery with Licensed Battlefield Guide George Newton on November 21, 2008. Hanover’s Henry Winebrenner House on November 11, 2008.